Are you looking for an experienced and reputable attorney known for delivering excellent client service and aggressive representation? At the Law Office of Michael Olewinski, Morris DUI and criminal defense lawyer Michael Olewinski has been offering his clients personal attention to their traffic violations and other legal matters. He is committed to finding creative solutions to help achieve the most favorable outcomes. With 20 years of legal experience, attorney Olewinski is known for communicating with his clients and obtaining positive results. All criminal charges are serious, and they require a serious defense. 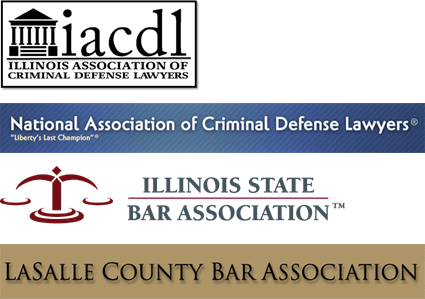 Contact an Illinois criminal defense attorney online or call 815-942-5291 to schedule a free initial consultation to discuss your case. If you need professional help with your speeding tickets, DUI charges or other criminal matters — including felonies and misdemeanors — be sure to contact a qualified and experienced Morris defense lawyer to handle your legal matters in the most efficient and effective way. With Mr. Olewinski's experience as a former prosecutor, you can be confident that your defense will not be overlooked. He is focused on getting results and protecting your rights. Attorney Olewinski has built a solid reputation in the legal community for aggressive and thorough criminal defense. If you have been arrested for drunk driving or for another criminal offense, it is important to seek qualified legal representation as soon as possible. Contact a Morris criminal law attorney online or call 815-942-5291 to schedule a free initial consultation to discuss your case. Located in downtown Morris, Illinois, the Law Office of Michael Olewinski is conveniently situated just a couple of blocks from the Grundy County Courthouse inside the Morris Building and Loan. Morris DUI and criminal defense lawyer Michael Olewinski offers great legal service, and he has successfully handled many criminal defense cases. With 20 years of experience, you can be confident that Mr. Olewinski will help you protect and defend your rights.